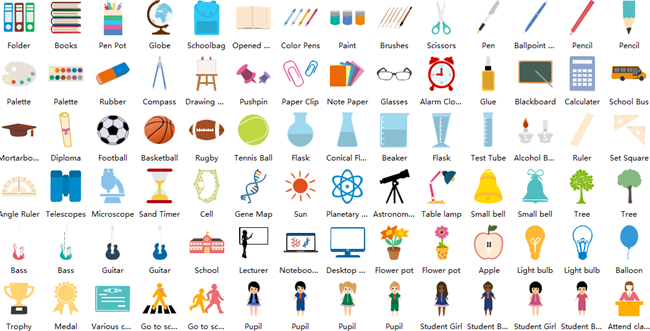 Lots of ready-made shapes will be available in our new version which will be published soon. They cover a broad range of topics. Want impressive infographics but unable to make it? Here is a wonderfully easy solution. Edraw infographic software offers a wide array of choices including architecture, business, education and food clip art and so on. They are embedded in the software. Users just need to drag them out to create professional infographics. Here just lists parts of the graphics. You can view more in the program. Our professional design team has elaborately prepared a bunch of amazing infographic shapes. They are grouped based on topics. Each group includes vector clip art and smart charts and diagrams. Users can resize, recolor and rotate these shapes easily. Just input data easily by clicking on the floating button. Each of the vector sets contains helpful scalable shapes like icons, charts, arrow shapes, and plenty of other related goodies. Here is a preview. Included are building shapes of various styles. It can be opened along with 2D Block shapes and Icons. You can access the above business infographic shapes right in the software. Just drag them out from the library for use. No need to draw or download shapes, saving lots of time. These are specially designed colorful shapes for creating education infographics. You can also gain more science illustration in our diagramming program. Our education graphic organizers can also help you gain more attractive education infographics. This group of environment infographic shapes are mainly green color. In addition to some commonly used shapes about environmental protection, some unique shapes are also provided. Meat, fruit, vegetable and wine glasses etc. 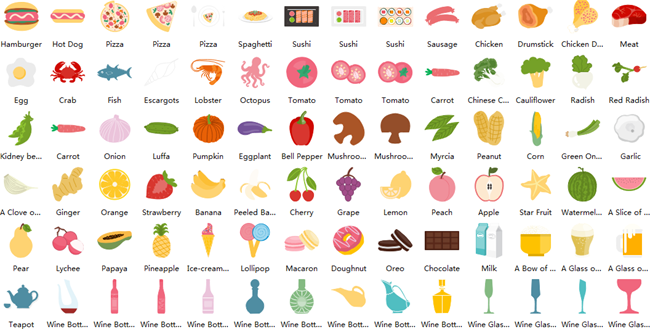 are contained in the library of food infographic shapes. These shapes allow for playing with vector infographics more easily. They are easy to scale larger or smaller since the shapes do not lose quality. These are the best quality elements for drawing stunning music infographics. Just visualize your data in professional way. To make creation process faster and easier, ready-made shapes are perfect choice. Technology is an indispensable part of people's daily life. Edraw Max 8.0 will put together a collection of technology infographic shapes which are quite useful for infographic designers. With representative clipart like Leaning Tower, Triumphal Arch and Burj Al Arab Hotel, this is a perfect collection of tourism infographic shapes. 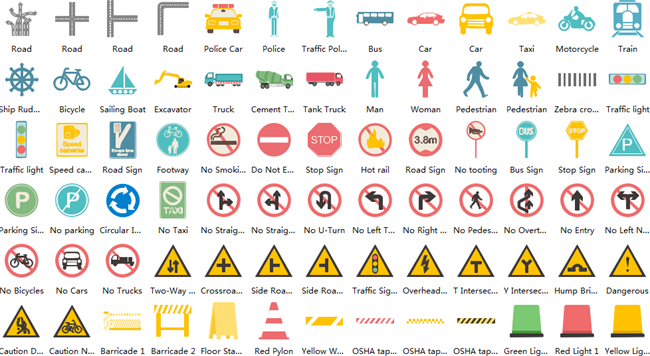 Our transportation infographic shapes along with other libraries will surely become the best-seller elements for infographic design. The vector shapes allow you to change the color, angle, size and more without losing quality. Any of the infographic chart template listed above is highly customized and amended to your needs. After you enter the data, the shape changes automatically. Adding some appearance effects through Themes, even more crisp results can be achieved. Download excellent offline infographic software: Download it Now.